Art games are fun and easy way to amuse the kids on a rainy day? Here’s the Mykidstime Guide to collage ideas and creation. Cut out lots of pictures from the magazines. Glue the magazine pictures onto the card to create a collage. 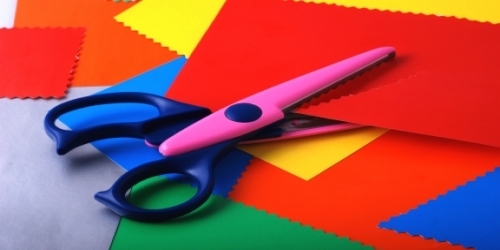 Encourage your child to use pens and other craft items to decorate their collage. For older kids, mosaic projects are good fun, where you take a page of a magazine, cut it into small pieces and then glue onto paper or card again leaving a gap between the pieces to give the mosaic effect. Or, alternatively, draw out the shape of something that will be filled in with different colours from magazine pieces, to make up a new mosaic shape.